From the wonderfully undulating Zeedijk and the monumental Westertoren to the copper-green Nemo in the Eastern Docks and the Water District of IJburg: Amsterdam has a wealth of striking places with impressive nuildings, fascinating streets and delightful squares. 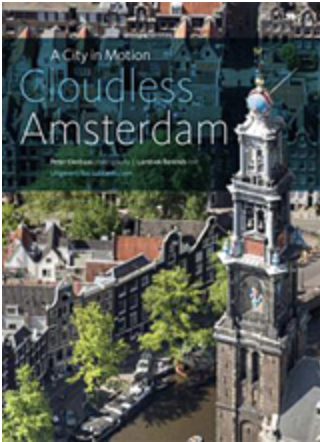 Photographer Peter Elenbaas took around seven thousand aerial photographs – most in the summer of 2012, but some of them decades ago – and chose his favourites for Cloudless Amsterdam: A City in Motion. Together they provide an unexpected view of the changing city. Journalist Lambiek Berends wrote a brief history to accompany them.